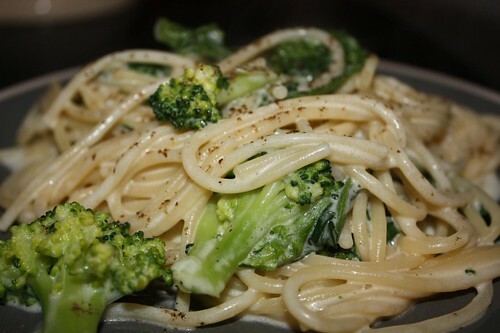 Spaghetti with Alfredo sauce, broccoli, broccoli rabe, and zucchini. Some of the vegetables in our crisper were about ready to begin getting the senior citizen discount at local cinemas so it was time that they saw some sort of noble end. 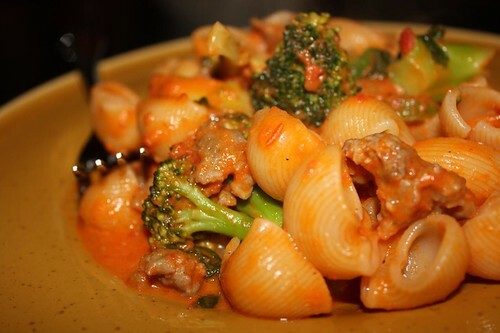 And what better way than in a pasta dish that gets enjoyed over the latest episode of Psych? Since Jen's pasta did not finish off all the leftovers, I tossed the remainder in a pan with the crumbled sausage from our Superbowl pizza and made this pipe rigate with vodka sauce tonight. 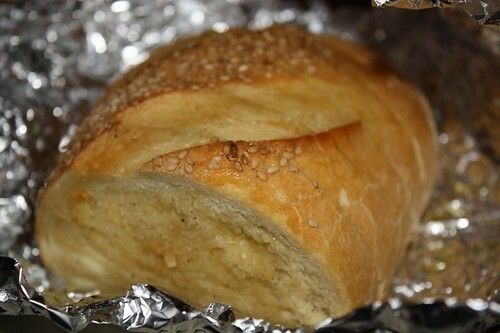 We even had some of the leftover garlic bread. It was the pasta of belief, it was the pasta of incredulity.